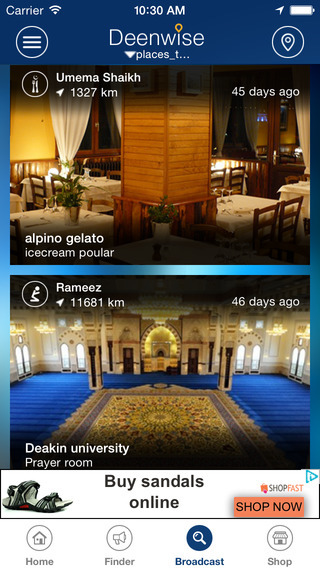 Deenwise is the most ‘Comprehensive’ Islamic app featuring everything that a Muslim needs in their day to day life. We have striven to include as much as we can in a single app. Deenwise features include; Qiblah finder, the whole Quran, Audio recitations, English and Urdu translations of Quran, Prayer Timing, Prayer counter, Ahadees, Quotes, Duas, and whole lot more. Deenwise converts your smartphone into a Muslim Friend and keeps you on track to your Deen. It also has an innovative “Silence Zone” feature which will tag your favourite mosque and remind you to silence your phone when you are there. It will also remind you to enable the sound when you leave it! - Silence Zone feature reminds you to turn your iPhone to silent as you enter in Praying Area.